This exclusive JGI design unisex t-shirt honors living legend Dr. Jane Goodall. At only 26 years old, Jane Goodall entered the forests of Gombe, Tanzania, to study the lives of wild chimpanzees. Since 1960, Jane has blazed the trail in science, for women, and as an advocate and activist. 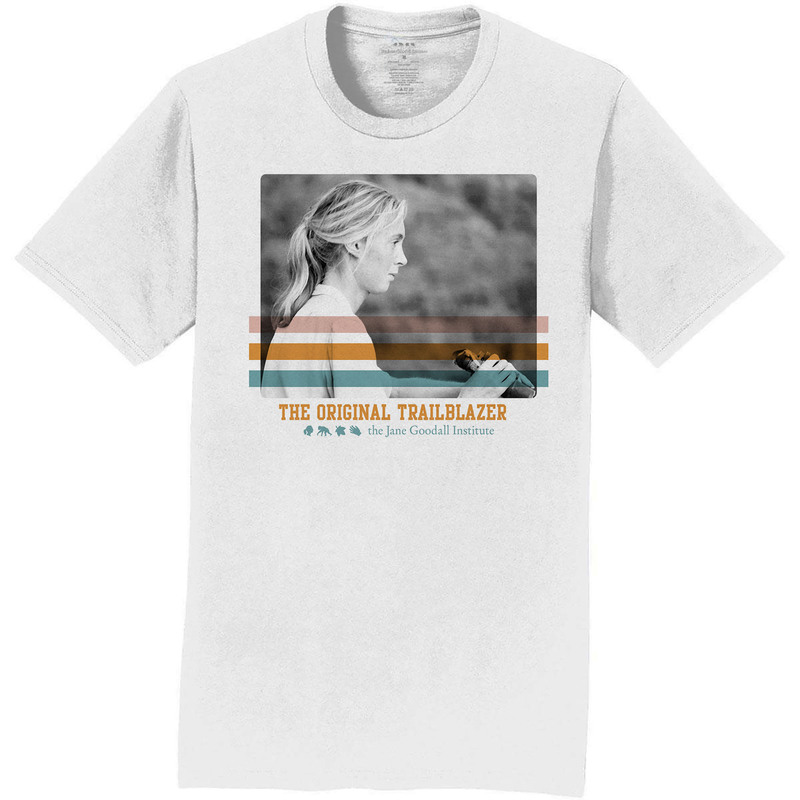 Are you a trailblazer? Celebrate breaking barriers and discovery with this design and directly contribute to our work to grow the next generation of Jane Goodalls.